Hillary Clinton's only been on Instagram for two days now, and she's already rocking it. If you're following her, then you're fully aware of how much your feed has improved since the pre-Clinton Instagram days — i.e. Monday. If you aren't following her, what are you waiting for? She's even mastered the art of the Instagram video in just two days. On Thursday, Clinton posted a very feminist Instagram video, implying that we can expect a lot more pro-gender equality campaign ads from the presidential hopeful. The short video, captioned "Living History. New video coming soon," seems to be a teaser for a longer video that will be released later. With quick flashes of photos, it goes through Clinton's whole life in a few seconds, from her childhood to her job as secretary of state. 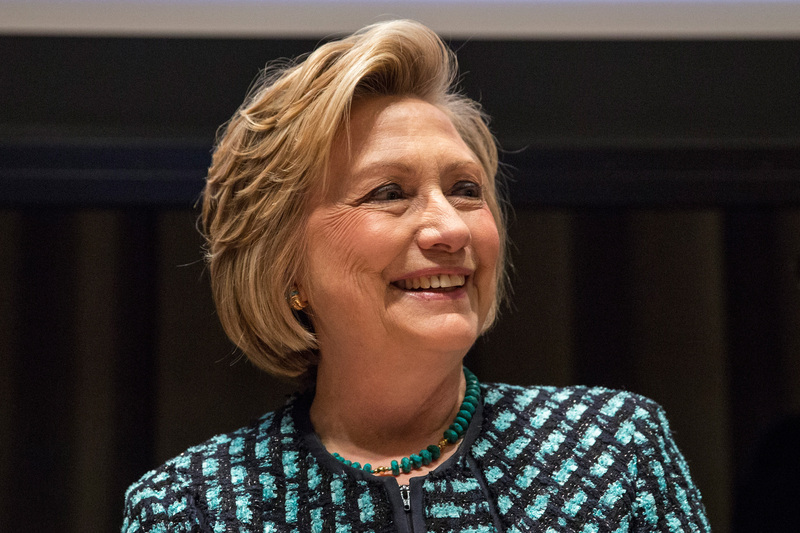 The title "Living History" alone hints at her feminist agenda — she wants to make history by becoming the first female president of the United States. She's already the only first lady to become a U.S. senator, let alone secretary of state. Previous footage of her speaking was cut into the video, showing her saying, "Human rights are women's rights." This was her first major statement on women's rights in the 2016 election, and we're likely to see a lot more where that came from in the coming months. Since she's so Instagram-savvy, here are three other platforms Clinton could utilize to spread her feminist message. Snapchat is the natural next step for Clinton after Instagram. It would be the perfect way for Clinton to get short, concise videos that display her feelings on gender equality out there. Not to mention, it's what all the kids are using these days, so she would be reaching the youngest voters. Her Instagram feed thus far looks pretty curated, and Snapchat would allow people to get a more behind-the-scenes look at her campaign and sincere messages directly from her. Tumblr is full of feminist bloggers who would love to spread some pro-women's rights memes and videos of Clinton. Tumblr's also a great way to reach voters who wouldn't necessarily follow Clinton on Instagram or other social media sites since posts are so widely spread around. Writing an op-ed for a magazine, newspaper, or online publication would give Clinton more space to fully explain her views on women's rights and would likely be seen by older voters who aren't on Instagram. Saying that women's rights are human rights lets people know that she's a feminist, but now we need to hear what she plans to do for women if she's elected.